Oksana has 20 years of private and institutional investment experience. Until 2014, Oksana was a partner at Horizon Capital, Ukraine’s leading private equity firm. 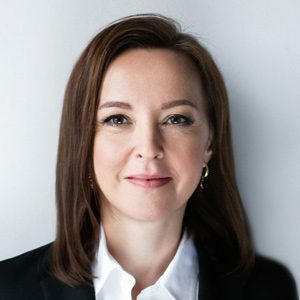 She has been involved extensively both in transactions execution (sourcing, due diligence, execution of acquisitions, exits via trade sales) and value creation (serving on portfolio companies’ boards) in a variety of industries. Her strategic thinking as well as strong analytical and interpersonal skills made her one of the most valuable advisors and mentors to the SOC Prime team. Oksana holds an MBA degree from Kellogg Graduate School of Management.